The SmartHeart team of investigators have a long track record of collaboration. They bring together a unique combination of technical expertise in medical imaging and machine learning, and clinical expertise in cardiovascular diseases. Professor Daniel Rueckert is Professor of Visual Information Processing and Head of the Biomedical Image Analysis Group in the Department of Computing at Imperial College London. He joined the Department of Computing at Imperial College as a lecturer in 1999 and became a Professor in 2005. He obtained his PhD in Computer Science from Imperial College in 1997. Before moving to Imperial College, he has worked as a post-doctoral research fellow in the Division of Radiological Sciences and Medical Engineering, King’s College London where he has worked on the development of non-rigid registration algorithms for the compensation of tissue motion and deformation. The developed registration techniques have been successfully used for the non-rigid registration of various anatomical structures, including in the breast, liver, heart and brain and are currently commercialised by IXICO, an Imperial College spin-out company. He has pioneered the development of image analysis techniques, in particular for applications in cardiovascular imaging for registration, segmentation and modelling. Yike Guo is a Professor of Computing Science in the Department of Computing at Imperial College London. He is the founding Director of the Data Science Institute at Imperial College, as well as leading the Discovery Science Group in the department. Professor Guo also holds the position of CTO of the tranSMART Foundation, a global open source community using and developing data sharing and analytics technology for translational medicine. Dr Wenjia Bai is a post-doctoral research associate at Biomedical Image Analysis Group, Department of Computing, Imperial College London. He is currently working with Prof. Daniel Rueckert. His research interest is on the combination of medical image computing and machine learning techniques and their application to clinical research and large-scale image analysis. Professor Botnar joined the Division of Imaging Sciences and Biomedical Engineering at King’s College London in 2007, where he is currently Chair of Cardiovascular Imaging and Head of the Biomedical Engineering Department. He received his PhD from the ETH Zurich, and has since worked at the University of Zurich and Beth Israel Deaconess Medical Center and Harvard Medical School. In 2005, Dr. Botnar accepted a Professorship of Biomedical Imaging at the Technische Universität München where he set up a cardiac MR program with a special focus on pre-clinical and translational multi modality imaging. Professor Botnar is a Fellow of the International Society of Magnetic Resonance Imaging in Medicine and a member of the Society for Cardiovascular Magnetic Resonance; he is currently Associate Editor of the Journal of Cardiac Magnetic Resonance (JCMR) and has authored more than 185 peer-reviewed original papers, 30 review articles and 25 book chapters in the field of CMR. He also holds 5 patents and is an editor of a CMR textbook on Cardiovascular Magnetic Resonance Imaging. One key area of Profesor Botnar's research group is working on the development of novel MR pulse sequences for free-breathing motion corrected 3D whole heart MRI of the coronary arteries and the myocardium with a major focus on the development of advanced motion correction techniques, novel contrast mechanisms and quantitative tissue characterization. 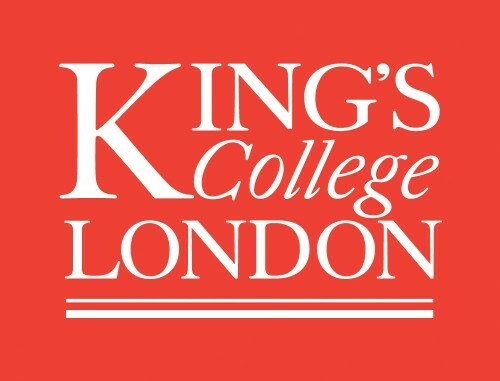 Professor Reza Razavi is Vice President and Vice-Principal (Research) at Kings College London. The main focus of this role is working closely with colleagues across faculties to increase the areas where we are delivering at the highest level, raising levels of ambition and delivery and fulfilling our commitment to drive innovation through our research in a way that has a tangible impact on the world around us both using our disciplinary strengths and through new inter-disciplinary and multi-disciplinary initiatives. Reza is also Director of Research at King’s Health Partners and Consultant Cardiologist at Guy’s and St Thomas’. He is Head of Division of Imaging Sciences and Biomedical Engineering and Director of the Wellcome Trust EPSRC Centre for Medical Engineering. He is Professor of Paediatric Cardiovascular Science at King’s College London. Reza has substantial grant income and extensive experience working with Industry to deliver technologies that move into clinical products. He has published widely in high impact journals with over journal publications in the last 5 years. His research is in imaging and biomedical engineering related to cardiovascular disease. One key area of focus is cardiac MRI in relation to congenital heart disease, electrophysiology and heart failure, image guided intervention, XMR (X-ray and MRI) guided cardiac catheterisation and methodological advances to move to faster 3-D cardiac imaging. Julia is Professor in Computational Imaging at the Division of Imaging Sciences & Biomedical Engineering, King’s College London,. She obtained her PhD in Computer Science from University College London in 1998. Before moving to King’s in 2015, she was Professor in Engineering Sciences (Medical Imaging) at Oxford, and Fellow in Engineering at St. Hilda’s College, Oxford. Julia is the Director for the EPSRC Centre for Doctoral Training in Medical Imaging, run jointly between King’s College London and Imperial College London. She is renowned for her work in finding intelligent solutions for complex motion compensation and deformation modelling for a wide range of imaging modalities and applications, spanning neuro, fetal, oncological, and more recently, cardiac imaging, carried out in close collaborations with clinicians and partners from healthcare industry. Giovanni Montana is Professor of Biostatistics and Bionformatics in the Department of Biomedical Engineering at King's College London. He received a Ph.D. in Statistics from the University of Warwick in 2003, and then held a post-doctoral position at the University of Chicago. In 2004 he joined the Statistical Genetics & Biomarkers research group at Bristol-Myers Squibb, in Princeton. Prior to joining King's College in 2013, he was Reader (Associate Professor) in Statistics in the Department of Mathematics at Imperial College London, which he joined in 2005 as GlaxosmithKline Lecturer in Statistics. He's a Fellow of the Royal Statistical Society and Chartered Statistician, and holds a Visiting Professor position in the Department of Mathematics at Imperial College. His main research interests lie in statistical computing and machine learning with applications to biomedical data analysis, including genomic and medical imaging. He's also actively working in Big Data analytics. Dr Andrew King is a senior lecturer in the Biomedical Engineering department at King’s College London (KCL). Dr King received a PhD degree in Computer Science from Warwick University in 1997 under the supervision of Professor Roland Wilson. From 2001-2005 he worked as an Assistant Professor in the Computer Science department at Mekelle University in Northern Ethiopia. Since 2006 he has worked in the Biomedical Engineering department at King’s College London, focusing on motion estimation and modelling. Dr. Prieto received her PhD from the Pontificia Universidad Catolica de Chile. From 2008-2011 she was a Research Associate in the Division of Imaging Sciences at Kings College London, and in 2012, she joined the Biomedical Engineering Department at Kings College London as Lecturer in Magnetic Resonance Imaging and Reconstruction. Her research focuses on the development, implementation and application of undersampled MRI technology, combined with motion correction strategies. Steffen Petersen is a Professor of Cardiovascular Medicine at William Harvey Research Institute, Queen Mary University of London and a Consultant Cardiologist and Clinical Director for Research at Barts Heart Centre, Barts Health NHS Trust. He is also the Cardiovascular Programme Director of UCLPartners Academic Medical Centre. He is Chair-elect, Cardiovascular MRI (Dec 2016-Dec 2018) of the European Society of Cardiology's (ESC) European Association of Cardiovascular Imaging (EACVI). He holds an MBCHB and MDRES equivalent (Dr med.) from Johannes Gutenberg University Mainz, Germany, a DPHIL (OXON) from the Department of Cardiovascular Medicine, University of Oxford, an MPH from Harvard School of Public Health. He is level 3 certified for cardiovascular magnetic resonance (CMR). He has been actively involved in cardiovascular magnetic resonance since 1998 and he reports over 1000 cardiac adult MRI scans each year. His research interests include clinical trials using cardiovascular magnetic resonance (CMR), cost-effectiveness analysis related to cardiac imaging and primary prevention, large scale population based studies using CMR (UK Biobank cardiac imaging lead) and electronic health record research that incorporates cardiac imaging data (Barts Bioresource Principal Investigator). Aaron Lee is Assistant Director of Health and Imaging Informatics at the William Harvey Research Institute, Queen Mary University of London. He received a Bachelor of Science with First Class Honors (Double Major in Chemistry), from the University of Western Australia in 1992 and a PhD in Natural Sciences (Computational Chemistry) from the University of Cambridge in 1996, under a Commonwealth Scholarship. He was a Research Fellow at Wolfson College, Cambridge, from 1997 – 2000. He holds an MBBS from Barts and the London School of Medicine and Dentistry (2013). In addition to his extensive background in the physical and biological sciences he has worked as a consultant and advisor in finance (2000 – 2011) and is an experienced programmer and software developer. Professor Alison Noble OBE FREng is the Technikos Professor of Biomedical Engineering in the Oxford University Department of Engineering Science, Associate Head of MPLS Division (Industry and Innovation), and a Fellow of St Hilda's College, Oxford. She is a former Director of the Institute of Biomedical Engineering (2012-16). Professor Noble regularly serves on national strategic and policy making committees and grant awarding panels related to research and innovation in healthcare technologies and more broadly engineering, and is the current Chair of the EPSRC Healthcare Technologies Strategic Advisory Team. Professor Noble is a Trustee of the Institute of Engineering Technology (IET) and of the Oxford Trust, which promotes enterprise as well as communication of SET to schools and the public, in the Oxfordshire region. She received an OBE for services to science and engineering in the Queen's Birthday Honours list in June 2013. Professor Noble’s research interest is in biomedical image analysis, with a particular focus on raising the profile of ultrasound imaging as a first class data type by understanding the interplay of ultrasound device design (physics), clinical acquisition, and downstream image analysis and computer vision. Her most recent research has concerned applying machine learning to ultrasound to advance automatic 2D, 3D and video ultrasound analysis. Her research is motivated by unmet important clinical needs in developed world and developing world settings, and involves inter-disciplinary translational research collaborations with clinical groups from the UK and overseas.